Last week I was so busy, I didn’t have time to write about Survivor. Angie got voted out. This week, we saw Matsing continue its losing streak and Russell finally meet his end, despite, well, despite nothing, he was terrible. Russell is now the 2nd returning player (in non-All Stars seasons) to be eliminated before the merge. Joining another Survivor: Samoa alumni also named Russell (Hantz). Russell was a trainwreck from the start and was lucky the tribes were so small, making physical strength such a factor in being a successful. At least Russell Hantz in Redemption Island was tying to make moves (of course that might have actually been his problem). 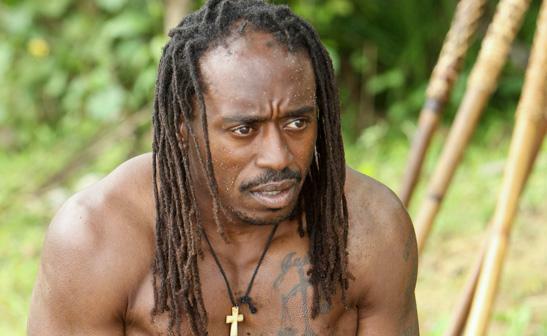 Russell actually got blindsided and convinced that he wasn’t going home in a tribe of 3! I think that a lot of credit has got to go to Malcolm and Denise for making Russell feel so safe. I’m not convinced that if Russell actually had the idol that he would have played it! It was really interesting to see who Russell ended up voting for, because that meant the other person did a better job of convincing him that they were on his side. In this case Denise won, with Russell voting for Malcolm. This is particularly impressive, because Russell seems like the kind of guy that would choose strength and bros over an older female. Apparently, Denise is that good. Who is the Worst Tribe of All Time? Let’s talk about Matsing real quick, before hopefully moving on from them forever. My question is, is Matsing the worst tribe of all time? Since the last 2 blogs featured Survivor history lists, why not this one too? Maraamu: The first real bad tribe we see is in Marquesas with the Maraamu tribe going 0 for 5 in challenge wins before the swap came. They lost 3 immunities and 2 rewards. This was likely due to Boston Rob simply not caring about strength and only about how willing they were to follow him. 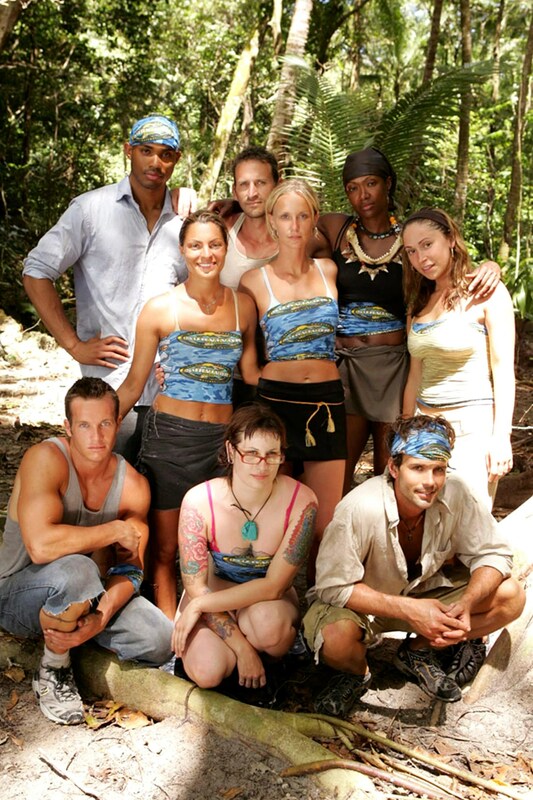 Morgan (Pearl Islands): The Morgan tribe lost 6 challenges in a row (3 reward, 3 immunity) and had really lost heart before they A) stole Rupert away from Drake and B)benefited from Drake throwing a challenge in order to get rid of Burton (though it was never clear what exactly their intention was). They were sparked by this and ended up winning 3 of the next 4 (2 immunities), before the Outcasts twist came and switched everything up. Saboga (All-Stars)-Saboga came in last place in 2 out of 3 immunities they participated in, before they got dissolved into the 2 other tribes. The main reason they were so terrible, is they did not get along at all, and had the worst shelter, probably in Survivor history. Ulong (Palau): Notorious for being the only tribe (until now?) to basically eliminate itself, Ulong went .210 winning percentage in 14 challenges. Other tribes may have been worse if production hadn’t switched things up at certain points, but what happened to Ulong was absolutely brutal. Ravu (Fiji): Ravu is a bit of an interesting one, because the twist in Fiji was haves vs. have nots. Ravu were the have nots and thus at a tremendous disadvantage. This showed, as the original Ravu tribe that participated in 8 challenges lost every time. They switched, maintaining the twist, but had all guys on Ravu, what looked to be their turn around, but these guys (and Lisi) lost 4 out of 5, including 3 immunities. Overall, it’s not really fair to include them, but they did lose 12 out of 13 challenges. Fang (Gabon): Had to include Fang because they lost 9 out of 13 challenges, but they existed in 3 different formats, due to 3 tribe swaps, so the name was more cursed than the people. Matsing (Phillipines): Ah, Matsing. Technically, you are only 0 for 4 in challenge wins, not completely terrible. But in each challenge, all you have to do is come in 2nd place in order to not go to tribal. Basically they have lost 8 times rather than 4 times, making them 0 for 8 in challenges. Be careful Ulong, Matsing is coming for you! The rest of the episode did feature a little bit of plot development from the other tribes. Over at Kalabaw, Jeff Kent cemented his alliance with Penner and brought in Carter to make a 3 person all male alliance (all male alliances have never been successful). The girls figured this out and decided to make an all female alliance in retaliation. I think Jeff’s move wasn’t bad, but he certainly should have been less obvious about it. He seemed to have the whole tribe in the palm of his hand and he let it slip this week. Good job by Penner for getting himself back in the middle of things. At the least this week he will likely be safe with an idol in his pocket and two other guys watching out for him. And how about Dana taking control of the women? Interested to see where she goes from here. Tandang continues to get crazier and crazier. Abi-Maria still hates RC. RC just wants to be friends with Abi and doesn’t understand why she doesn’t like her. Skupin is a walking time bomb in regards to getting injured. Pete is pulling a Russell Hantz. Lisa is sitting quietly letting it all go down. And Artis, well we’re not sure what he’s up to. Pete, if anything is making this season entertaining. By planting the clue to cause a further divide between RC and Abi-Maria, he is throwing into a chaotic confusion she wasn’t expecting. It’s a risky move and certainly not necessary, but if RC is someone he personally sees as a threat, then getting her on the outs is not bad at all. I get the feeling that this will all blow up in Pete’s face. I mean, his number 1 ally is Abi-Maria. Skupin’s outlook has gone downhill, let’s hope he can fight his way wherever he needs to. Could Lisa pull a Cirie, forming alliances and sitting back as the rest of the tribe implodes? I don’t think she has quite the strategic brain, but I really like what I am seeing at this point. Watch out for her. RC has got to pull herself together and try to figure out a way to get out of this mess. I think Lisa could be swayed in different directions, RC needs to abandon the Pete/Abi ship immediately. Do Malcolm and Denise Have a Chance? Malcolm goes to Kalabaw: He likely gets offers from both sides and ends up being the swing vote. Don’t see them bonding against him at that point. Penner could show him the idol to sway him or he could go with the girls to get rid of the returning player. We do know that Malcolm loves Penner from pregame interviews. Denise goes to Kalabaw: She might be in trouble here as the guys would be paranoid about her joining the women. I could see her joining either side, but upside doesn’t look real good. Malcolm goes to Tandang: This would be extremely interesting. I could see Pete and RC fighting over his allegiance. Feel like he would lean toward the RC/Skupin alliance. Denise goes to Tandang: Definitely could see her going with Skupin in this scenario. The tribe is so chaotic that this one would fit her way better than Kalabaw. Overall, the show has been really interesting, I just can’t wait to see another tribe to go tribal council! No more Matsing please!!! Player of the week: Hmm, Penner, Denise, and Pete all made good/interesting moves this week, I’ll have to go with Penner for saving himself from a terrible situation. Gotta stick with Skupin as the winner, but Lisa really rose for me this week. RC dropped big time and Penner also went up.